My thoughts on the first major label album from Maison book girl. When Maison book girl signed to a major record label, Tokuma Japan in this case, you kinda figured that an album would materialize at some point in the near future. I’m not sure many expected it to be after just one “major single” on their new label but I doubt fans of the group are complaining too much about this development. 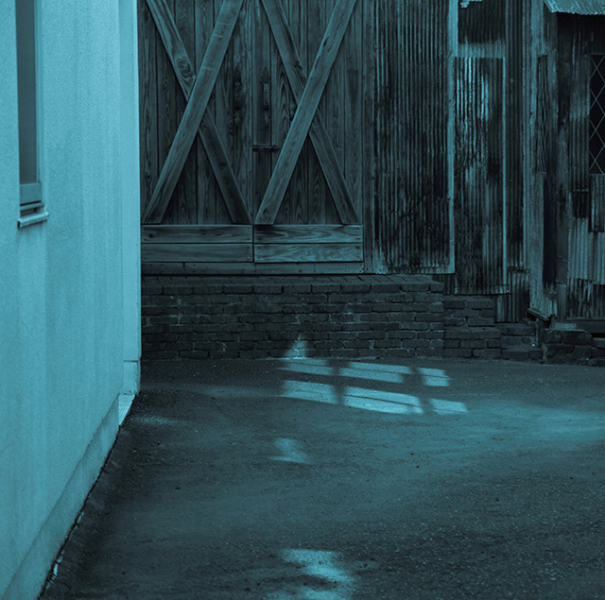 Speaking of major singles, I did previously review Maison book girl’s major debut “river (cloudy irony)” which you can go read if you feel so inclined. If you did go read that previous review, you’ll have seen that I was fairly thumbs in the middle about the single. Maison book girl are in this weird position with me where I really want to like the group’s output but for some reason my ears and brain have a hard time processing what’s going on in their music. There’s a few things here or there that makes sense to me, but on the whole maybe I’m just too dumb to get what they’re going for. So with all that being said, hopefully you guys understand where I’m at coming into this review and you won’t crucify me if I don’t get/like something that you do. Believe it or not I’m not some music expert and I’m trying to learn something new here. If you’re cool with that then hopefully you enjoy the review. If me not being the most confident or comfortable reviewing something isn’t your thing then come back next week because I’m sure we’ll be back to business as usual then. The album opens with “ending”, alright Maison book girl I see you. Trying to be all clever calling the opening song on your album the ending, very good. So this song is entirely instrumental, which wasn’t really something I saw coming especially considering it’s two and a half minutes long. It sort of builds up by layering various instruments like piano, strings, triangle and what have you until we reach a crescendo before a rather abrupt end. It’s very well done and even this idiot can understand what they were going for here. In my opinion Maison book girl’s producers missed a trick by not having “ending” transition seamlessly into the second track on the album “sin morning”. Maybe that would have been too obvious though. The instrumental on this song starts out the typical “weird” way that a lot of Maison Book girl songs sound to me, with snippets of string instruments, synthesizers and drum machines being the order of the day. Once the vocals come in things get a little more “normal” on the instrumental side of things. This is actually quite a catchy song and the vocals are as good as ever. Maybe I’m actually starting to get this stuff. “end of Summer dream” opens with some acoustic guitar work, which is something a bit different from what Maison book girl’s sound is typically associated with. The usual tropes do make an appearance fairly quickly as the song gets into full swing though, but the guitar remains a fairly defined point of focus which I definitely enjoyed. Things are also once again pretty good on the vocal side of things, although there isn’t a killer hook but I guess that’s not exactly Maison book girl’s style anyway. I haven’t disliked anything I’ve heard so far, although I’m yet to be blown away either. We’re back to the tried and true Maison book girl formula for the album’s fourth song “veranda”. You have a particular liking for synthesizers and xylophones? Well, this song should be just what you’re looking for. The main synth pattern in this song is actually pretty catchy, but the near constant xylophones did start to grate on me a bit. It probably doesn’t help that they’re dominating what would otherwise be some pretty nice singing during the verses. I also had to get up to use the bathroom when those sound effects of running water were dropped in. My least favorite song so far but the fact I’m liking some stuff should hopefully get me a pass. “faithlessness” is the song that Maison book girl are using to promote this album and it’s probably my favorite Maison book girl song that I’ve heard from them so far. I guess it makes sense that I’d like the song they’re using to promote themselves to “casuals” the most huh? It’s still a great representation of what Maison book girl’s act is, but it does feel slightly toned down on the instrumental side of things. I could be completely wrong about that, but that’s how I see it. The vocals on this song are super catchy though and I can definitely see people checking out more from the group as a result of listening to this song. The midpoint of the album is marked by the song “int”, which I figured probably meant “interlude” when I took my first cursory glance at the track listing. Well, I guess this is technically an interlude…a very long interlude, as the track clocks in at a massive 10 minutes long. It’s basically an entirely instrumental piece that’s pretty chill and relaxing, and features all the instrumentation and sound samples you’ve come to expect from Maison book girl. It’s a bit too long though, in my opinion anyway. Like, what even was the point of this, ya know? We’re back to some semblance of normality with “townscape”, which appears to for the most part anyway use a different bank of sound samples than many of the other songs featured on this album. I mean sure, you hear a xylophone sneak in here and there, but this sounds fairly distinct. More specifically, I enjoyed the use of guitar, violin and piano on this song. I mean, it’s basically a ballad but it’s a pretty interesting ballad that I was in no way bored by while listening to it. That has to count for a lot given my well documented distaste for slower “ballad” style songs. If “townscape” was a slow song then “karma” is the polar opposite. It comes flying out of the starting blocks at one hundred miles an hour before slowing to a more manageable tempo once the vocals kick in. We’re treated to flashes of the opening instrumental a few more times throughout the song and I found myself enjoying it quite a bit. I’m not sure if I’m just starting to “get” Maison book girl’s sound at this point or if this song in particular is just a little less “math-y” than their other stuff. This is definitely in my top 2 or 3 Maison book girl songs though. Very much a highlight of this album. “Highlight” wouldn’t necessarily be the first word that springs to mind when I think about the song “screen”. It kind of falls into the realm of less memorable Maison book girl songs for me. Granted there is some interesting stuff going on in the instrumental but on the whole it’s not really bringing too much to the table that we haven’t already heard. That’s not to say that it’s a bad song either, it just sorta feels like an album song I guess is the best way of describing it. Not bad, not great, just kinda there for the most part. “blue light” has an instrumental that gives off a very “classical” vibe to me. 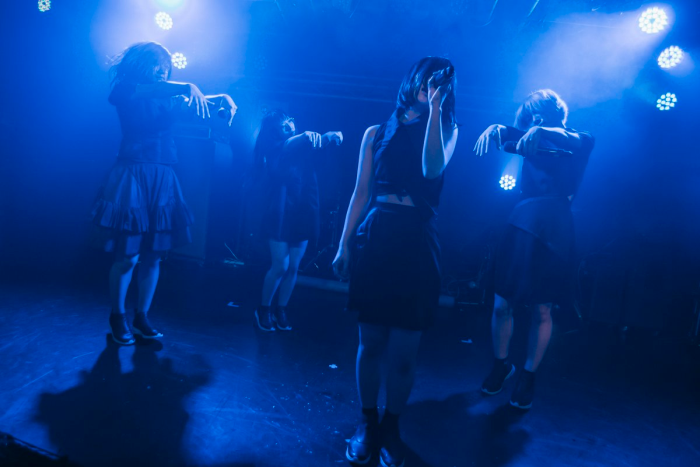 Of course it also incorporates the typical array of Maison book girl add-ons so you definitely know it’s their song. This one was a little bit refreshing though because the vocals did get a bit room to breathe at times than they normally would otherwise. I do kind of wish the vocals would have a bit more energy though, it’s a bit odd to hear slower, more melancholic vocals delivered alongside a much brighter and more energy filled instrumental. This one is still pretty good though, definitely better than “screen”. Well, we opened with “ending” so of course we’re going to end with “opening” because why would you expect anything else at this point? Rather disappointingly, for me anyway, this is the obligatory spoken word track on the CD. This is a thing Maison book girl do on every release of theirs I believe so I did sort of wonder when it was coming. I really don’t understand enough Japanese to get it, but there’s some nice piano playing in the background so there’s that. I do have to question why this couldn’t have been rolled into that 10 minute monster of an instrumental interlude but oh well. I’m not a fan of ending the album this way but it is what it is. I think I’m kind of starting to come around to Maison book girl’s way of doing music. I mean, I hope that’s the impression this review leaves on you. “sin morning”, “faithlessness” and “townscape” were all very enjoyable songs for me which is a lot more than I expected to take away from this album if I’m being honest. There was also some other cool stuff going on but the 10 minute interlude and the spoken word ending track didn’t really do it for me and the interlude especially just seemed very excessive. 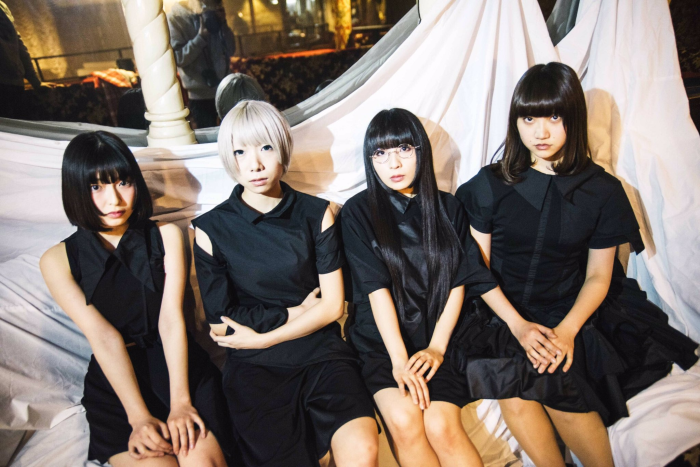 Maison book girl are a puzzle that I have yet to fully figure out, and from my personal experience their live act isn’t the easiest thing to get into. That said, I’m probably still going to go see them again when I’m back in Tokyo later in the year and I’ll definitely still be checking out anything new that they release. I think I might have some potential when it comes to expanding my musical horizons here, maybe.